It is the last weekend in October and I did not meet my goals. 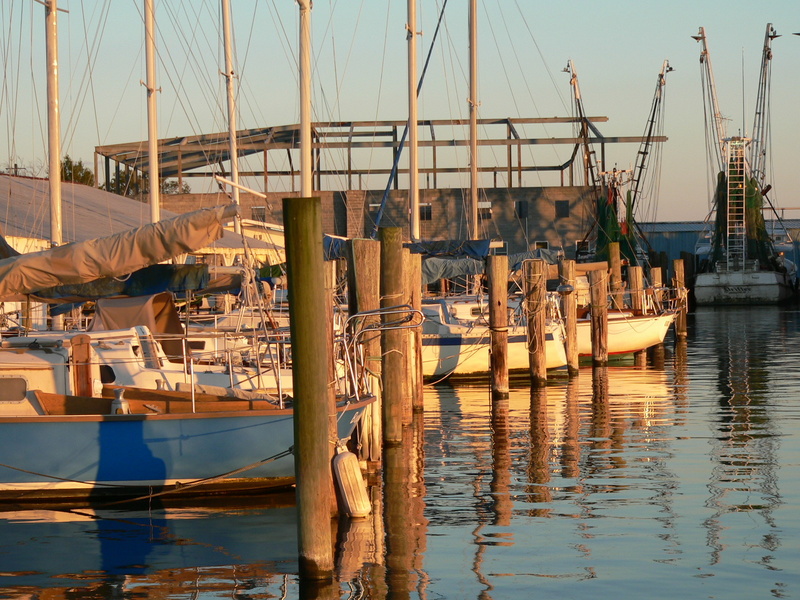 My two goals were to get underway at least 6 time this season (once a month from May to October), and to sail to Beaufort, NC (weekend at Cape Lookout). Just like the Christopher Cross song Sailing, Sailing, takes me away To where I’ve always heard it – Just a dream and the wind to carry me – Soon I will be free . Something came up and sometime you need to put family and friends ahead of personal goals. It is true that, If the wind is right you can sail away and find tranquility , but sometimes you need to place the needs of other ahead of oneself. It was nice weekend and the weather was perfect for sailing on the last weekend of October. Halloween will be on Thursday next week. It is pretty scary to think November is just around the corner. There is always 2014. The last time I got underway this season was with David and Gale on their sailboat in September. I am going to have the same goals for 2014. All I can do is to take it one day at a time. As the song poetic states, Well it’s not far down to paradise, at least’s not for me If the wind is right you can sail away and find tranquility . For additional pictures taken during the weekend <press enter here>. November 3, 2013 in Sailing.